We’re now rolling out the best ever DecSTONE leaflets!! 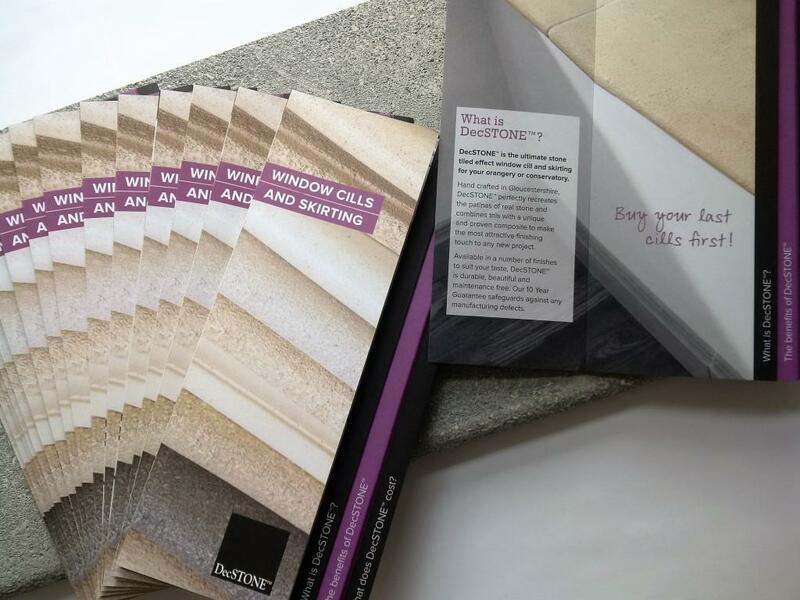 The latest DecSTONE Window Cills and Skirting leaflet showcase our full range of finishes for new build conservatories, orangeries, extensions and house builds. Whether using our stunning Ashfield Grey with a contemporary anthracite grey aluminium, or a warm Corinium stone finish against classic white frames, DecSTONE is fantastic stone effect finish, which enhances any project. DecSTONE is a beautiful and totally unique composite stone finish. Available as a range of luxurious internal window cills and skirting, it’s durable, maintenance-free and easy to fit – without any of the plastic trims associated with inferior alternatives. Our total authenticity to real stone extends to neat grout joints and subtle colour variations achieved through careful hand finishing in our factory in Gloucester. Assurance of quality comes with a 10 Year DecSTONE Guarantee against any manufacturing defects. Call our friendly team today on 01452 307700 for your own copies of the latest DecSTONE Window Cills and Skirting leaflet. Or download a copy here.